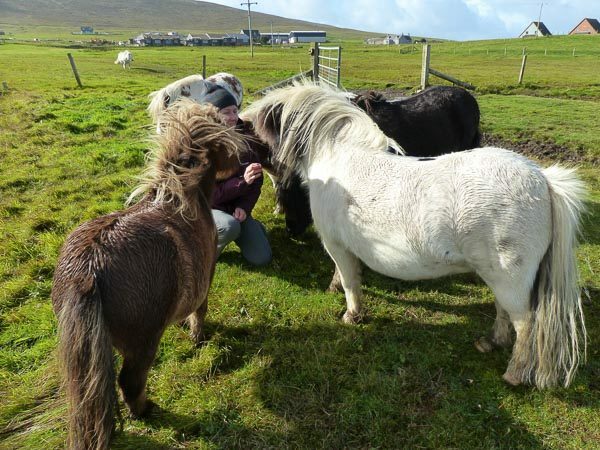 I was wondering whether there is a market for a Shetland pony meet and greet experience. Would folk want to come and meet the Minions and the famous Fair Isle sweater wearing old ladies, Fivla and Vitamin? Would they like to experience being loved? It could be as little or as much as anyone wanted. 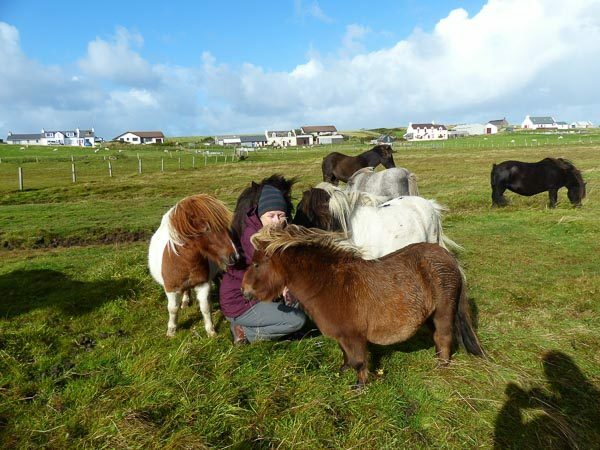 I realise not everyone wants to sit down amongst eight Shetland ponies. But, I think, there are some out there who want to do just this but don’t know where to go or who to ask. And that is the one thing I can offer. 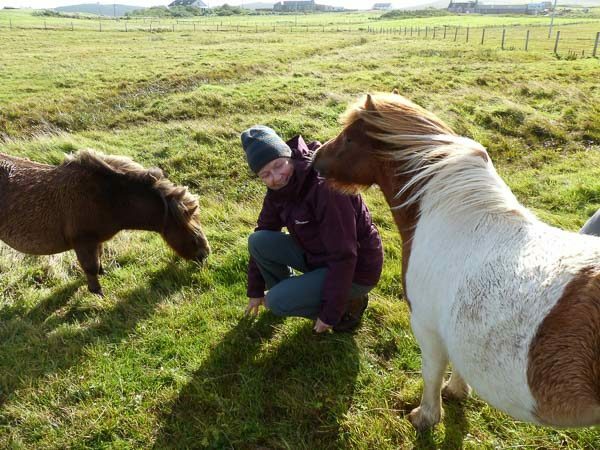 Gentle, well brought up, non-bitey or kicking Shetland ponies who love visitors. It could be as hands-on as anyone wanted it to be and folk could stand by the fence if they preferred and just watch. 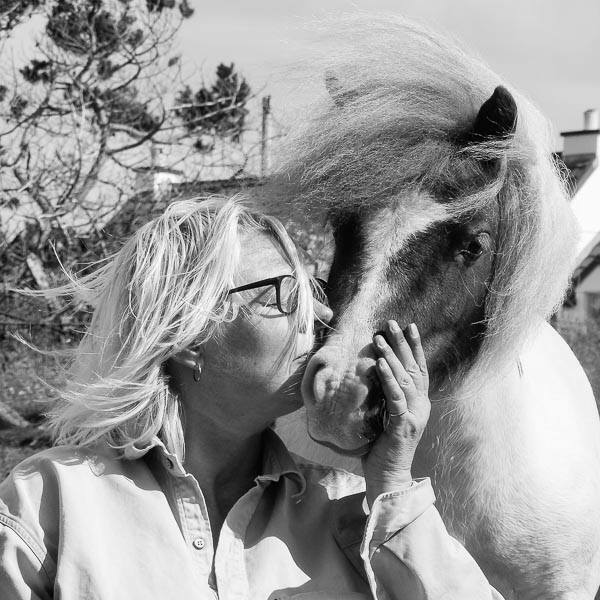 I just know that anyone who meets my Shetland ponies (and Lilja) adore them. 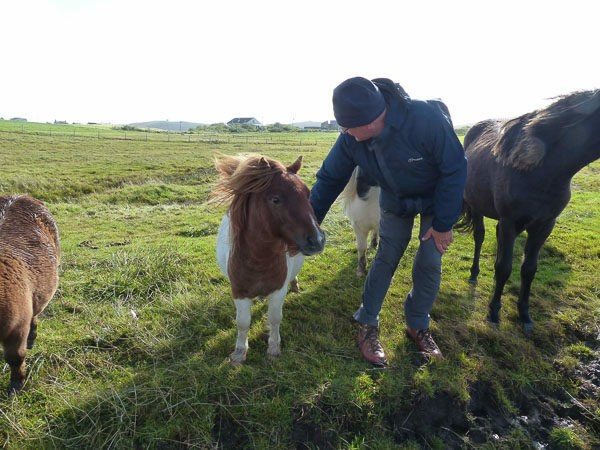 They love the fact that the ponies have good manners, appreciate people and are very loveable. So, is there a market for a Meet n’ Greet? 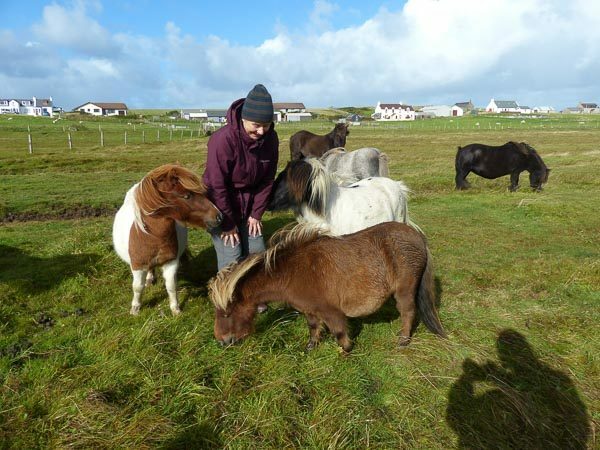 Nowhere in Shetland can you do this. 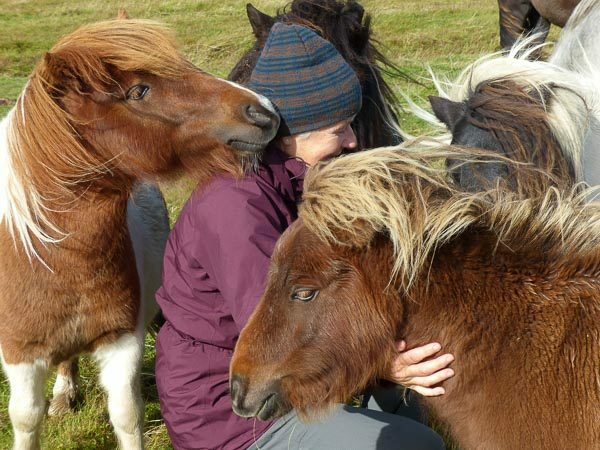 Yes, you can see them from the side of the road but you can’t go in a field and be hugged. 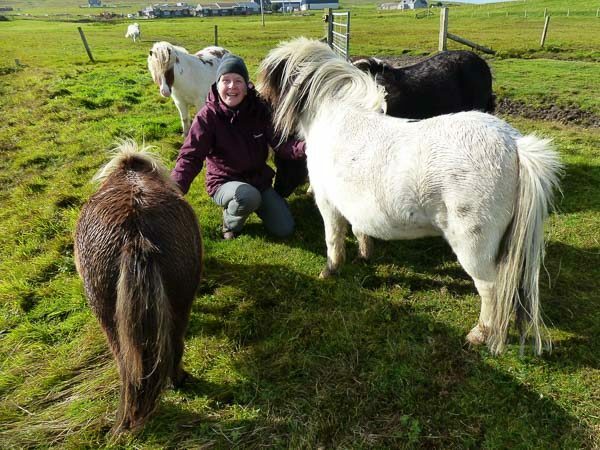 This entry was posted in MyShetland on September 13, 2018 by Frances. I would LOVE to do this! The trip from California is definitely on my bucket list! HELL YESSSSS!!!!!!!! Been trying to arrange my schedule with my sister’s to do just this very thing. i would do it in a heart beat if i was ever in the vicinity. I’m sure there is a market for this! I would, I would! It’s a bit of a trek from Glasgow but I would make the effort. Yes! 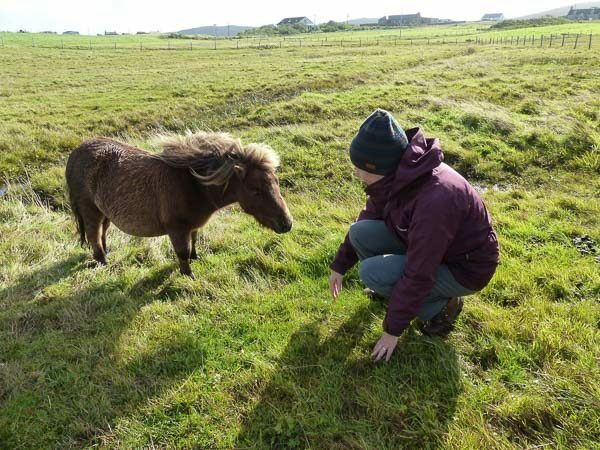 Another thought: Misa Hay of @myshetlandgarden on Instagram does knitting and heritage tours on Shetland. I’ll bet she would bring tours of interested parties to your place as an added attraction; you should contact her!!! 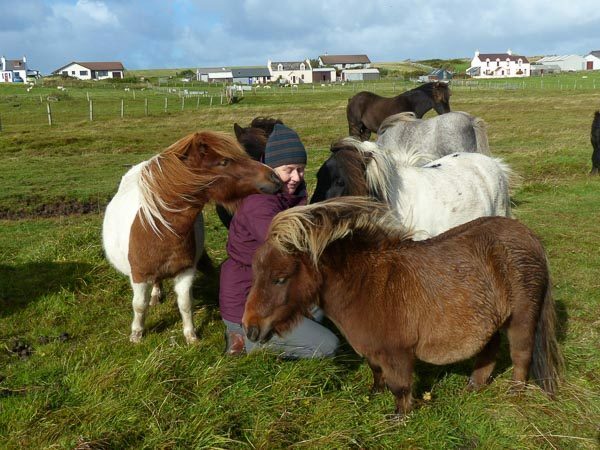 You should speak to shetland tourism and see what they think..I would/ will be coming out to meet them if I can! 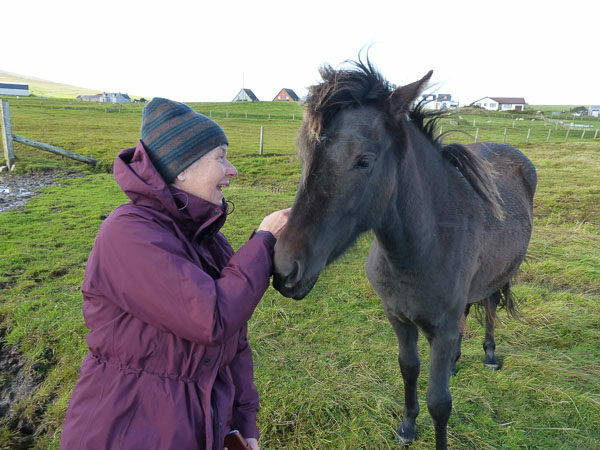 A crofter in Scalloway put in a parking area in the Tingwall Valley a year or two ago and gets regular visits from bus tours from cruise ships. Absolutely yes! just wished I lived closer. We’re in England at the moment, but say “go for it”. Such a great opportunity on many levels!!!!!! Seriously, it’s on my bucket list. My daughter and I are coming to Shetland next Friday and staying the week of Shetland Wool Week. We would love to visit you if we could arrange transportation to and from your place. 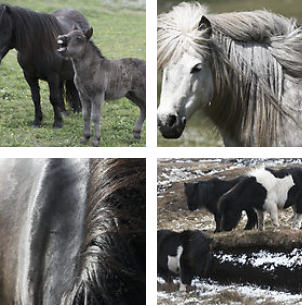 We had a horse farm for years while the kids were young and they have a special place in our hearts. We are in a group of 8 but some taking lessons and excursions. So probably wouldn’t be more than 3 of 4. I will talk to our “leader” to see if we can arrange a visit. We have a bus at our disposal so transportation would not be a problem. I will get back to you when we get in Lerwick. Thanks for allowing us to visit. We will be in touch. Thanks!!!!!!!!!!!!!!!!!!!!!!!!!!!!! 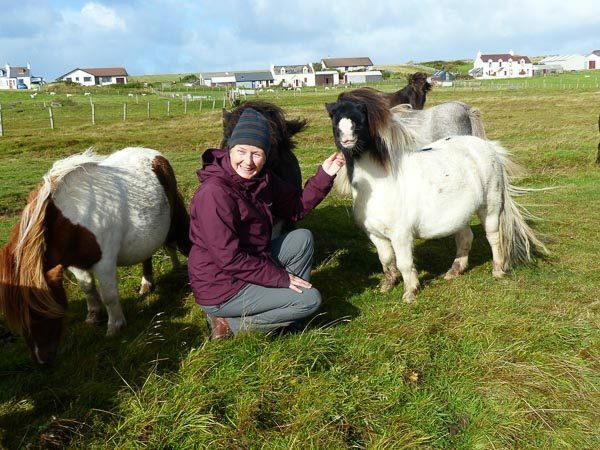 I will be in Shetland these dates also for Wool Week and would be interested in coming out, too!